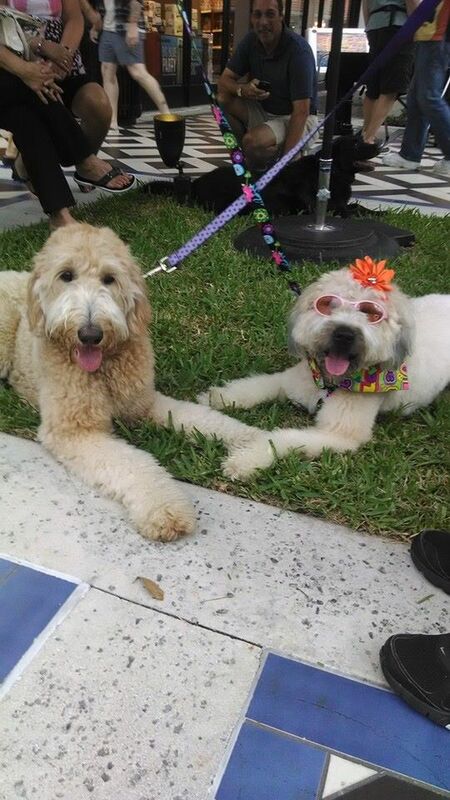 April Bordeaux , founder of Cause for the Paws Southwest Florida and mentor/member of the Professional Women’s Group is pleased to announce the “Yappy Hour Pawty” held on April 11, at the Bell Tower Shops Center Court raised $2,024 with numerous donated items given in the “Fill The Fountain” portion. The funds raised and items donated benefited the Gulf Coast Humane Society (GCHS), a no-kill shelter. This exciting event featured a “Dogs on the Catwalk” fashion show with winners Shelley Cahill and Roscoe for “Dressed for Success”, Rosa Mathews and Dakota for “Most Creative Costume” and Steve Signore and Bailey for “Miss Congeniality”. In addition, four long-time residents of GCHS also walked the catwalk in hopes of finding a forever home during the “Diamonds in the Ruff” segment. 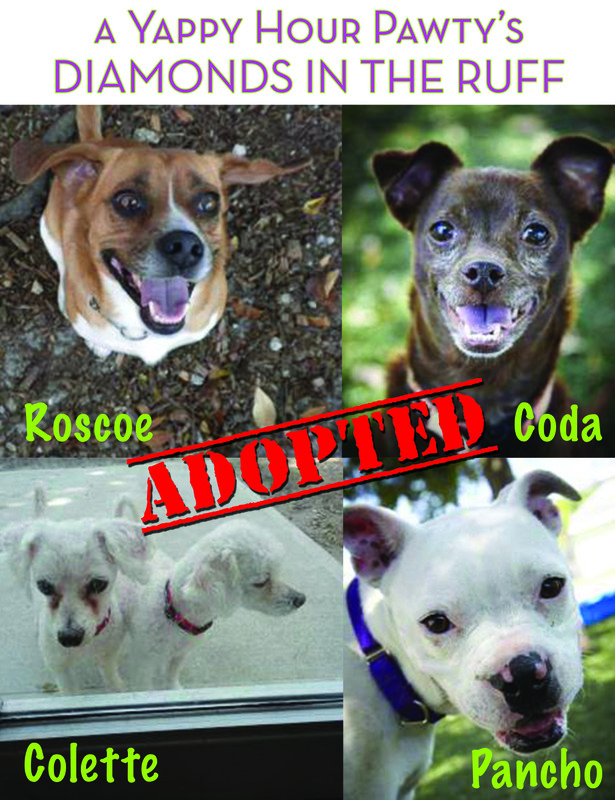 All four “Diamonds” Roscoe, Coda, Pancho and Colette were adopted on Saturday. At our new forever homes! Visit CauseForThePawsSWFL.com or email info@causeforthepawsswfl.com for more information. Major sponsors includes the Professional Women’s Group of Dress for Success SW Florida, Gulf Coast Humane Society, Bell Tower Shops, Walmart and CONRIC PR & Marketing | Publishing. Bordeaux was selected as the 2013-2014 delegate to represent PWG Worldwide with the Community Action Project, an annual project designed by Dress for Success Worldwide for the purpose of identifying a need in the community and positively affect the lives of a select group for the greater good. She chose to establish Cause for the Paws Southwest Florida to end the euthanization of healthy pets by educating the community about spay and neuter programs while inspiring people to adopt, not buy, their next furry family member. Bordeaux is Creative Director at CONRIC PR & Marketing | Publishing in Fort Myers.